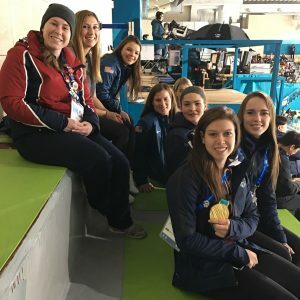 While waiting for the Men’s Gold Medal event in curling, I noticed a bunch of women in USA jackets walk up and sit in front of me while I was counting the number of athletes in the section. I noticed that it was the Women’s Ice Hockey team that just won Gold for defeating Canada’s Women’s team. I was low key freaking out and tried playing it cool while I asked them for a picture. 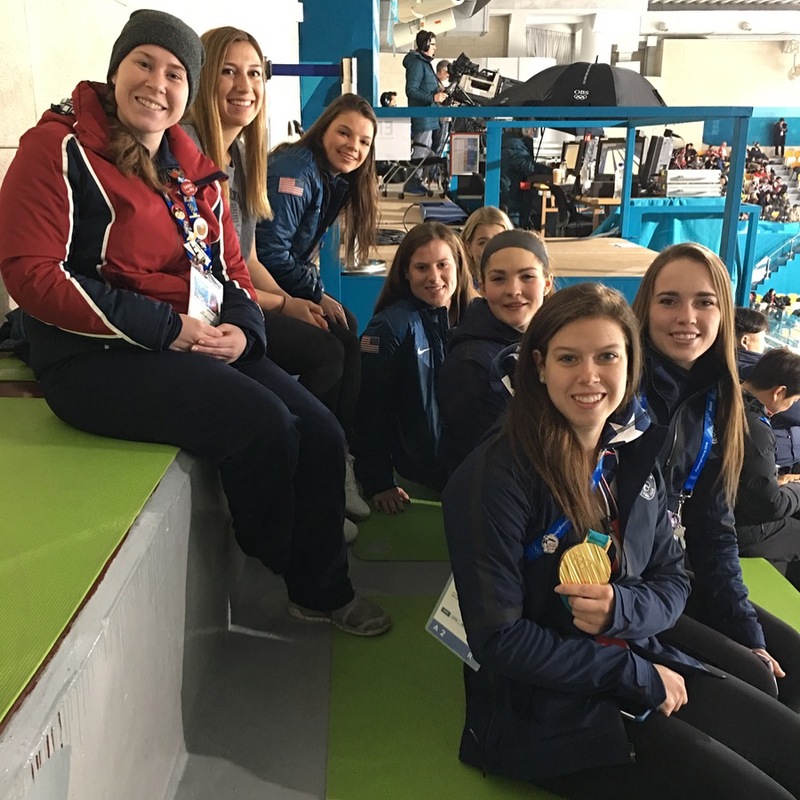 They were more than happy to take one with me, and I even took a picture of the whole team in front of the curling rings for them. It was so awesome to be sitting so close to such amazing athletes. It was definitely a fantastic moment of being at the right place at the right time. I will treasure this picture forever! ← All Good Things Must Come To An End!